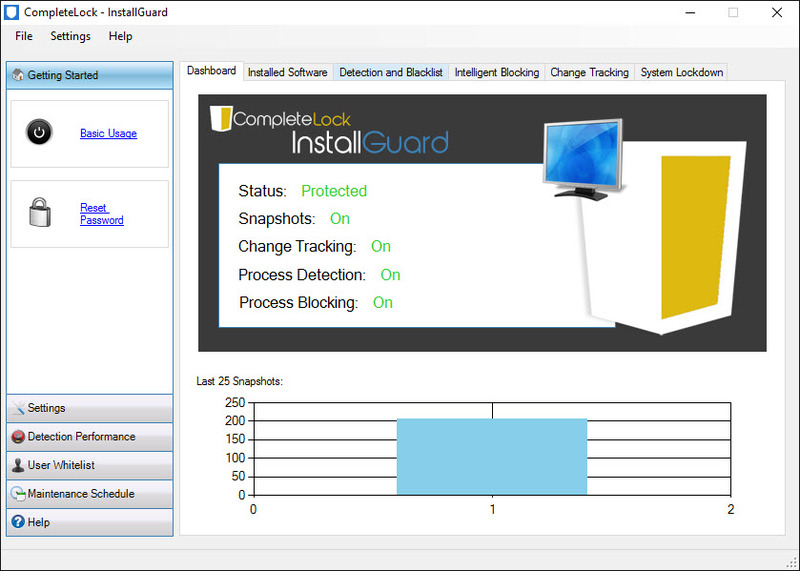 CompleteLock InstallGuard is a free software installation blocking tool for windows OS. The file size of this software is less than 4MB. Download this software from below direct link and install. You need to restart the system. Open InstallGuard from the system tray or from start menu. The default password for this software User Interface is password. You can change it later by using the reset password link in the software. Using this software you can blocks all installations on your system without your authorization. 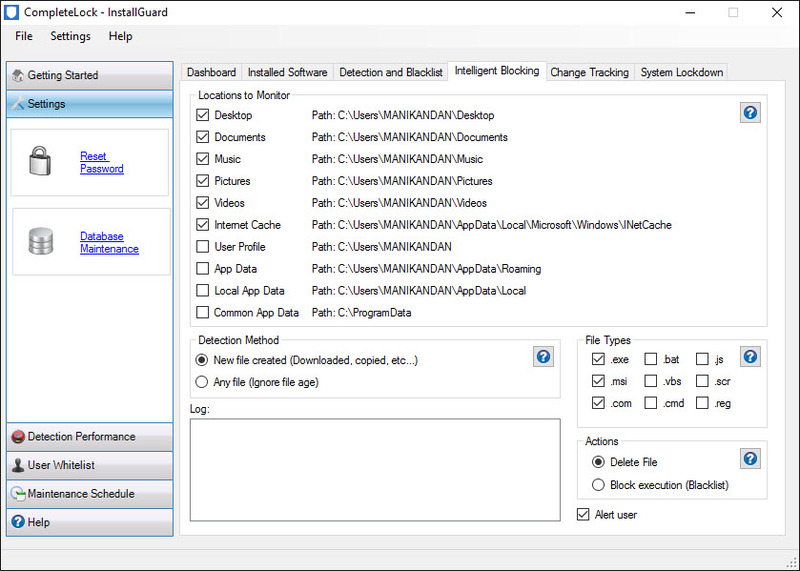 It also has the options to block msiexec (Microsoft Installer) and all other commercial installers. You can also block custom processes executables to prevent portable software from running. 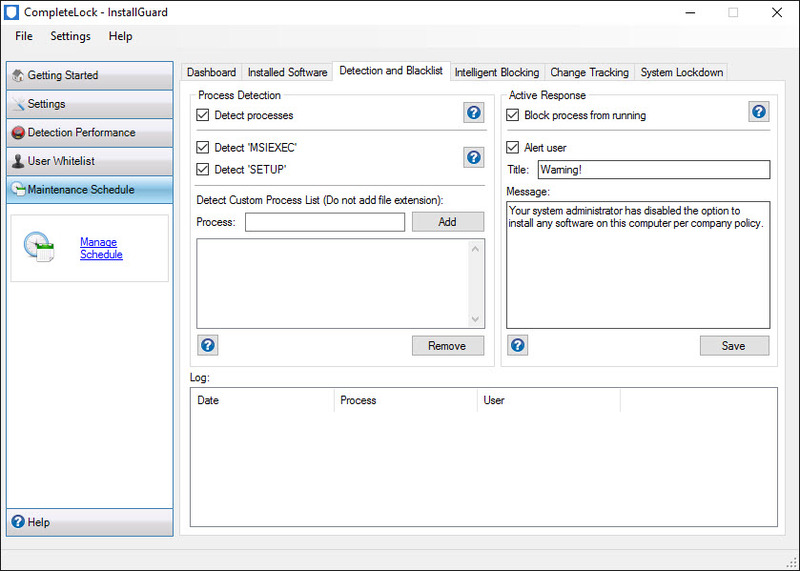 It keeps track of all software installations by creating a snapshot of all of your software to compare and track. It also support User Whitelisting to allow administrators and other authorized users to install software. It also support alert system to alert users when they are attempting to install unauthorized software.An it sends email alerts to system administrators when new software has been installed. To uninstall this software go menu File->Exit. Then uninstall the program from programs and features from windows.